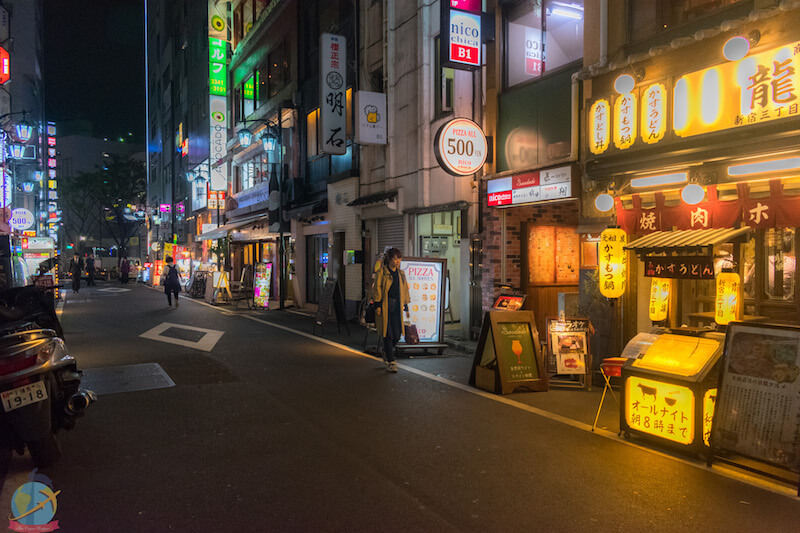 Tokyo has that vibrant air where millenary traditions, technology, fashion, Zen gardens, and neon lights converge. Every corner of the city makes you feel like you are in a completely different place. I don’t know what Asia has, but I have always been attracted to that part of the world, and every time I visit some country in the region I feel as if part of me had come to my second home. The first time I traveled to Asia I did not get a chance to go to Japan, but it was already included in my top Bucket list for a long time. I researched extensively in preparation for my trip and it seemed like a good idea to set up a small guide, as the city can become overwhelming for the first time visit. 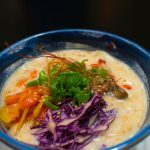 These are some of the things I recommend doing if you visit Tokyo for the first time! Japan has 4 completely contrasting seasons. The Japanese experience each season in a very special way, there are festivals and events that make you enjoy each of them in a unique way. 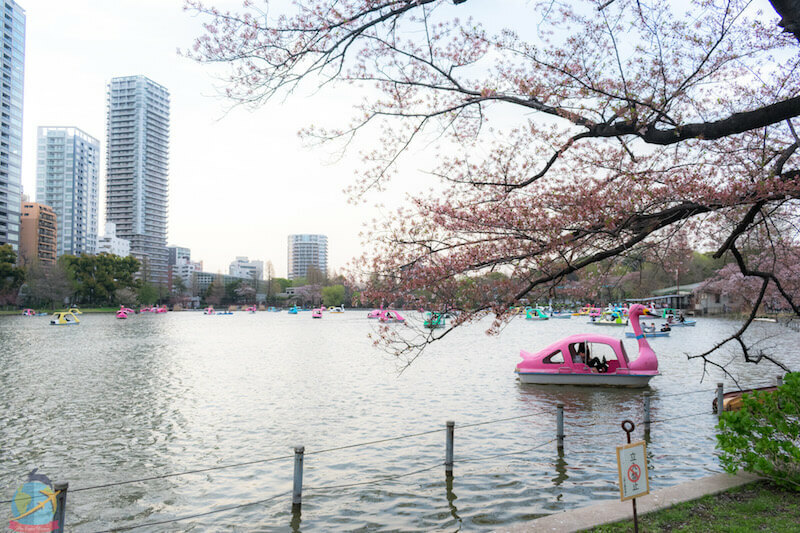 During spring you can enjoy the cherry blossoms when hundreds of people go to the parks, rivers, temples, etc. to view the Sakura flowers. They usually do a picnic in the parks and share all day with their friends and family. The temperature is nice and the views of the pink colored trees are spectacular. There are also many other festivals related to spring and exhibition of fields of different types of flowers. 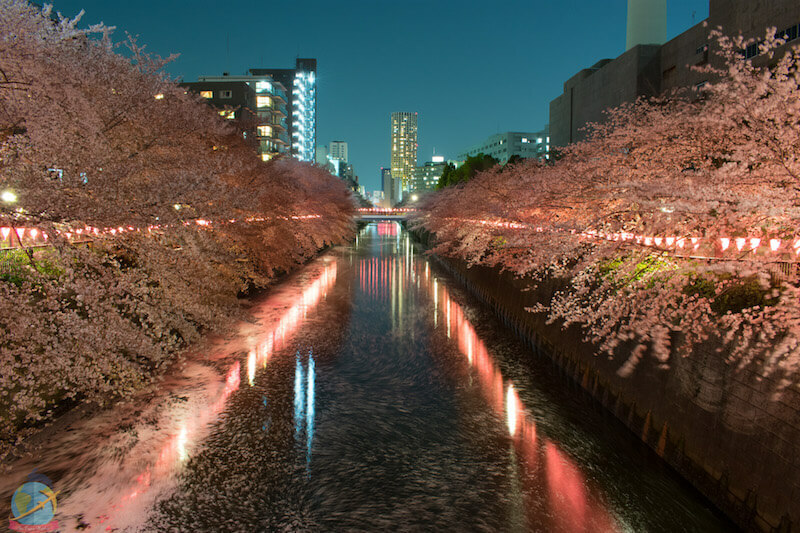 To see cherry blossoms is ideal to visit between March and April, but every year changes so you must be aware of the forecasts. In May there are also festivals with other types of flowers. In summer the temperatures increase and there is a lot of rain and humidity, the Matsuri or Japanese festivals, are carried out in various parts of the country. The beaches are filled with both tourists and locals to appease the summer heats. Autumn is another of my favorite seasons– and that along with spring- I recommend as one of the best times to visit. The spectacle of seeing the change of color in the leaves of the trees (Koyo) is just as popular as the Hanami (observation of flowers) in spring. The best months are October and November. If what you like is snow and winter sports then the months between December and February are ideal for you. Japan has mountain centers where you can ski, do snowboarding among other things. It is also an excellent time to stay in a ryokan (traditional Japanese inns) and enjoy an onsen (hot springs) on some mountain village. Macaque enjoying a natural onsen in Nagano. 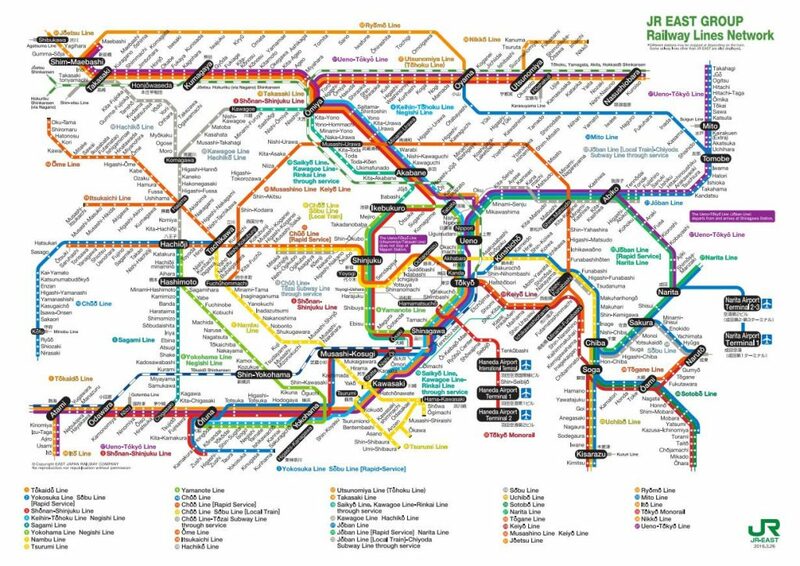 When I saw the Tokyo train/Metro map I felt like I was looking at a maze, I understood absolutely nothing! There were color lines everywhere and it had too much information to assimilate so soon. Tokyo has an exhaustive network of transport and different companies that manage them, so I suggest you read a little more about it to become familiar with the system and the options you can find. 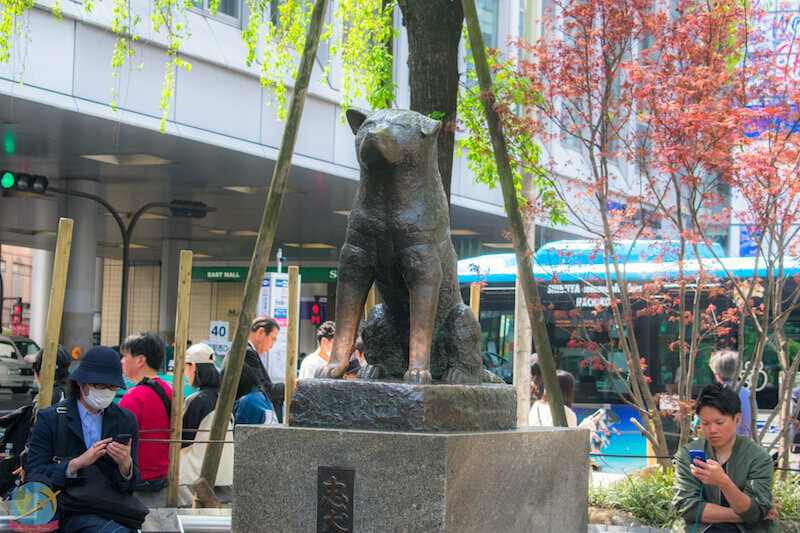 One of the most important railway lines that go across Tokyo is the JR Yamanote Line that stops at some of the main tourist spots of the city like Asakusa, Shibuya, Shinjuku, Ueno, etc. If you have the JR pass you can use this line as many times as you want without any additional charge. To move around Tokyo or other cities in Japan you can get rechargeable cards to pay the train, Metro or bus, but also work for shopping in certain establishments such as convenience stores. The most popular ones are the SUICA and PASMO cards which allow you to use different means of transport and offer reduced rates per trip. The point to take into consideration is that you can not recharge with a credit card so you must have cash available with you. There are also transport passes with different types of duration that you can use in your trip depending on the time you are going to stay and if you think it is a better option. Download the Hyperdia app, it allows you to search train routes from a point A to a point B and gives you the schedules, rates, shows you if you have to make a change of lines and very important also shows you track number in the station. If you use Google maps you will also be able to navigate the transport options. I used it throughout my trip in Japan, especially when there were places where I was going to use buses. Something people always ask me is how much money they need to go to Japan (or any other place for that matter). My answer is that it depends on a number of factors- which is true. When are you going to travel? The season influences a lot because the prices you find in November are not going to be the same as you find in April or August. Usually, the high season is around the spring and autumn months (April and mid-October-November) and it’s when it’ll be harder to find accommodation if you don’t book on time, also the prices will be a little higher. Additionally, the dates that coincide with Japanese holidays or festivals are high season and you should look into that. What kind of accommodation are you looking for? Hotels, hostels, private rooms in shared homes? Would try Couchsurfing or you already have friends with whom you can stay? Would you always eat out or do you think it’s a good idea to stay in places with a kitchen to reduce your costs of eating out all the time by cooking something yourself? What kind of activities are you going to do? You will take tours or you will do everything on your own, you will go to museums or prefer to walk and see monuments. Are you very interested in shopping? How are you going to move around? Are you going to rent a car, or take public transport or taxi, domestic flights, etc? How much does it cost to get to that place? Do we have to pay to see that place? How much is it? What are the best areas to stay? What kind of lodgings are there? What are the average food prices in restaurants? We usually believe that Japan is expensive, but the truth is that you can find options for every budget; and many attractions that are totally free. 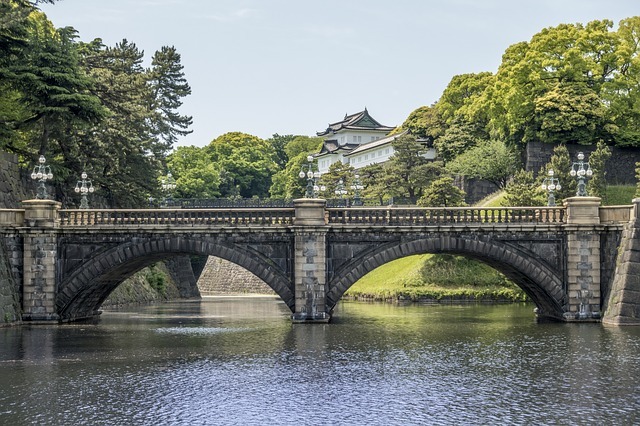 It is, in fact, true that prices are a little higher than Southeast Asia for example… But it is very possible to travel comfortably in Japan without spending so much. And if you only stay in Tokyo your transportation costs (which are one of the most expensive) are going to be greatly reduced. During the 15 days of my trip, I was in 3 cities in Japan and in one of South Korea, my expenses-without taking into account the accommodation and airfare- were around USD 625.00. I decided to bring enough cash in case of an emergency, but also credit card. Truth is I came back home with a lot of cash I didn’t need to use. Here you see in more detail what I spend for 10 days in Japan. Accommodation Osaka 208.62 6 nights in private studio. Transportation (Tokyo) 30.00 Approx. USD 4-5 per day, plus airport transfer. Food 200.00 Approx. USD 20-25 a day. It can be less or more depending on your preferences. Miscellaneous 212.56 Tickets, various purchases, souvenirs, some meals I did not pay with credit card, etc. This breakdown does not include the cost of the airline ticket from Panama to Japan, the visa, the cost of the JR Pass or my expenses in South Korea. If you are going to visit other cities other than Tokyo you should take that into account and add it to your budget. Hyperdia: Not only can you see the itineraries of the trains, but you can also know the costs and different options. 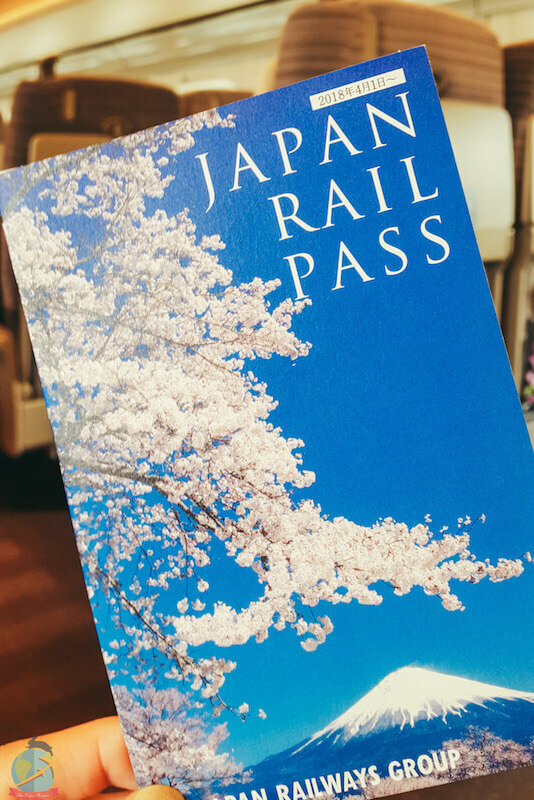 JR Pass: If you are going to other cities far from Tokyo you should consider getting the JR pass or some other regional pass- unless you want to take a night bus to go to Kyoto, for example. In this page you can understand better how it works, what are the prices and conditions; In addition to finding information about the other types of passes available. Booking.com: Find hotel options with very good offers. Airbnb: For lodgings in local houses, either shared or private. Hostelworld: To review hostel options and their prices. Visit Japan: The official website of the Japan Tourist office where you will find lots of useful information. 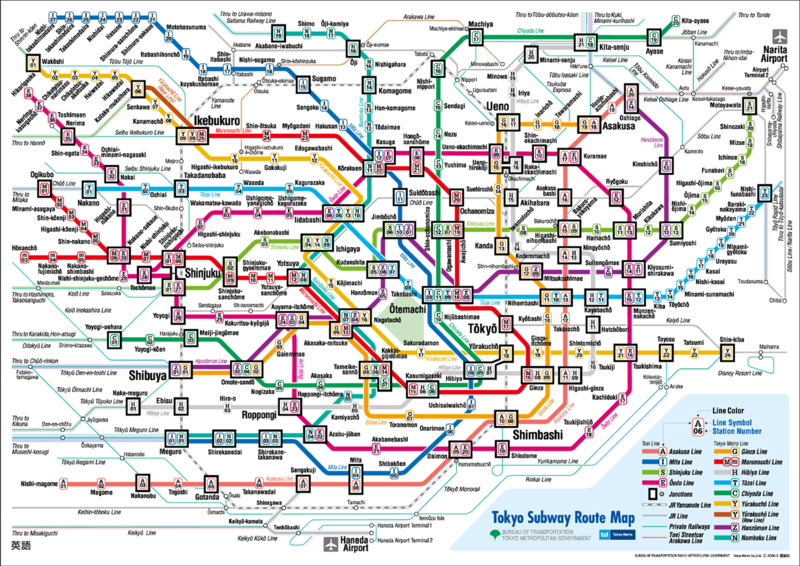 Tokyo Metro: for routes, schedules, and prices. Japan Ryokan and Hotel Association: You can see a list of Ryokans available throughout Japan, information, and prices. 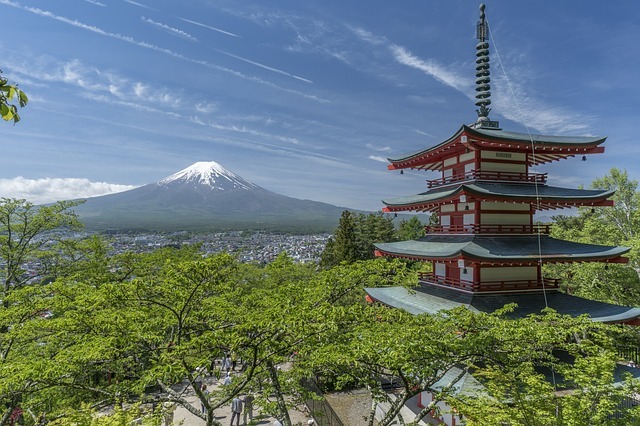 As it is my recommendation every time we visit a new place I suggest you learn a bit of Japanese culture, its history, traditions, and some basic phrases. Kindness and respect are attitudes that the Japanese value a lot. Always keep in mind the other people, do not try to get smart or create a scandal in public. It looks really bad and makes us look disrespectful. 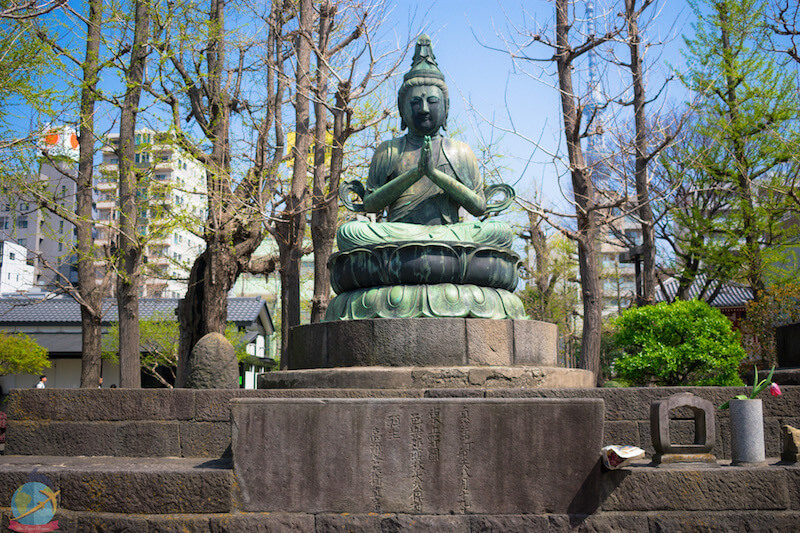 In Japan, there are many Buddhist temples, where the same rules of respect apply. It is important to always know a little about the culture of the place you visit. 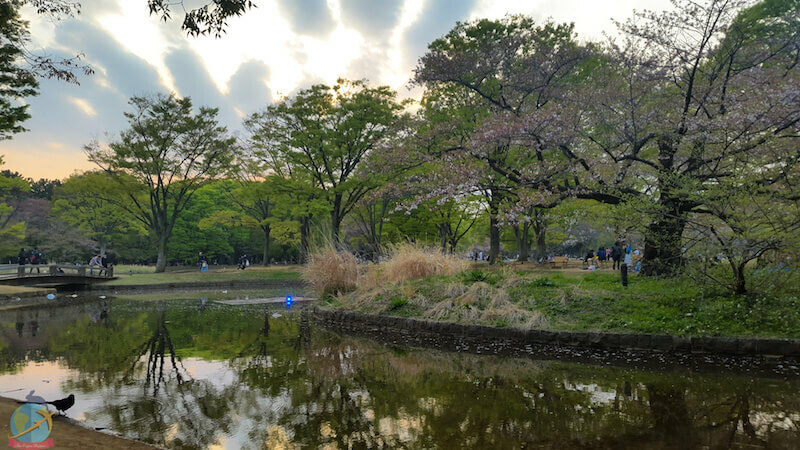 Tokyo is a pretty safe city, I had to see in the time of Hanami a Japanese man quite drunk lying on the ground of Ueno Park, with his iPhone in hand in full view. I don’t know how long it had been there, but I started to think if this had happened in my country… would the iPhone remained in his hand? The city of Tokyo is huge! And the easiest thing to do so you don’t go crazy is to split it into divide it into sections and start planning from there what we are going to do. This is because moving through several areas that are not close to one other can be too tiring to include in a single day. In that same way, you can plan your daily itineraries in districts that are close. For example, dedicate yourself to the North Zone one day and to the West zone another day, so to speak. To give you a general idea of how we can divide the city, these are the main attractions by area. 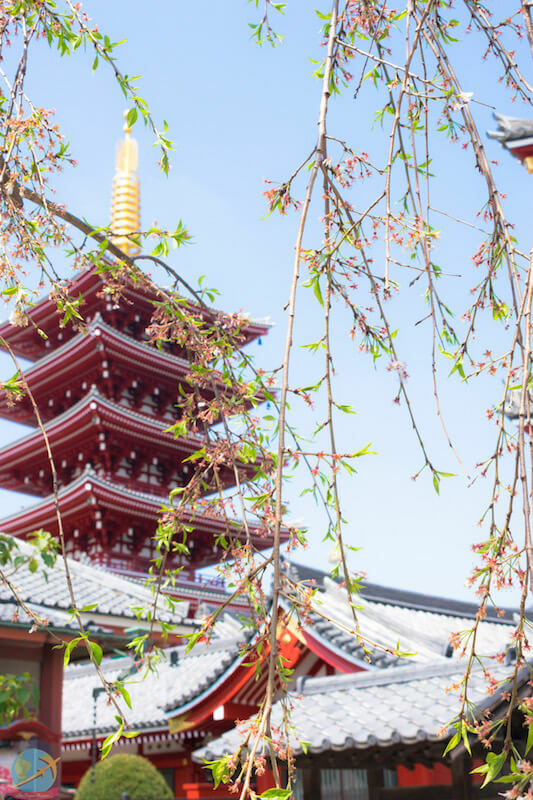 Asakusa District is characterized by an atmosphere that will make you feel like you traveled back in time to another era. In its streets, you can find a lot of picturesque shops, restaurants, and stores that preserve the air of the past. 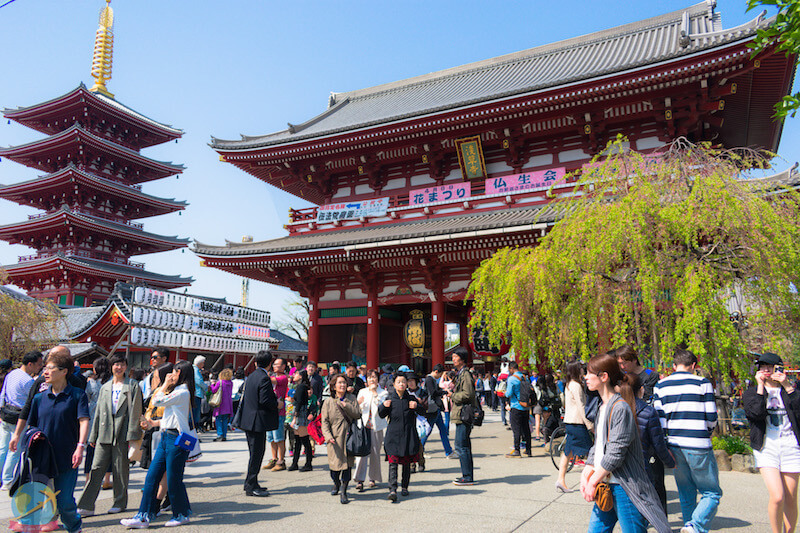 One of the main attractions of the area is the Senso-ji temple dating from the 7th century and is the oldest in Tokyo and one of the most important. 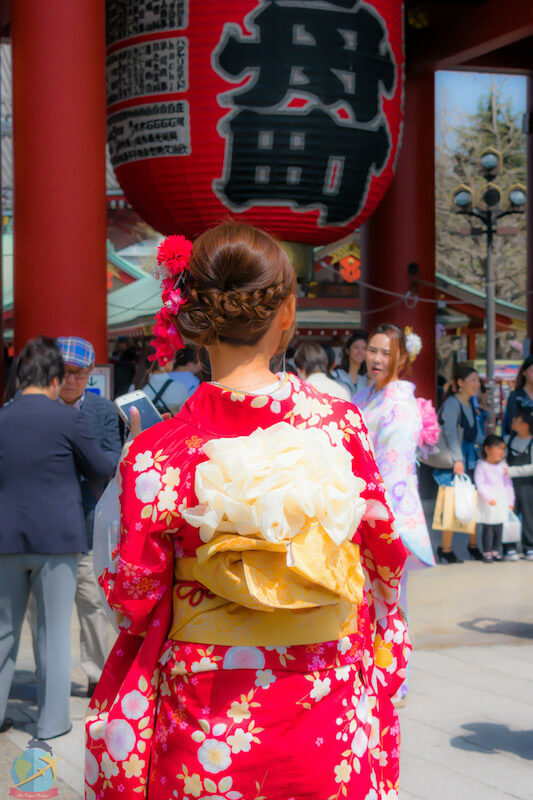 In Asakusa you can rent kimonos to use during your visit. 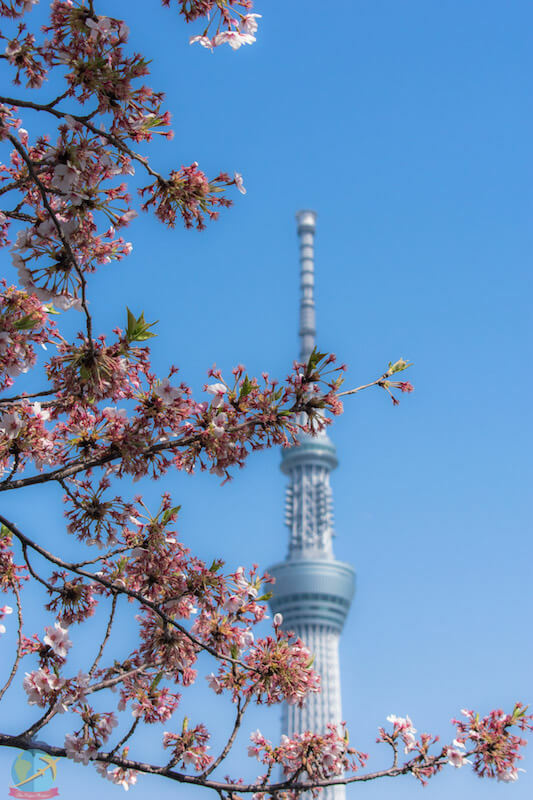 Tokyo Skytree is an icon of Tokyo. 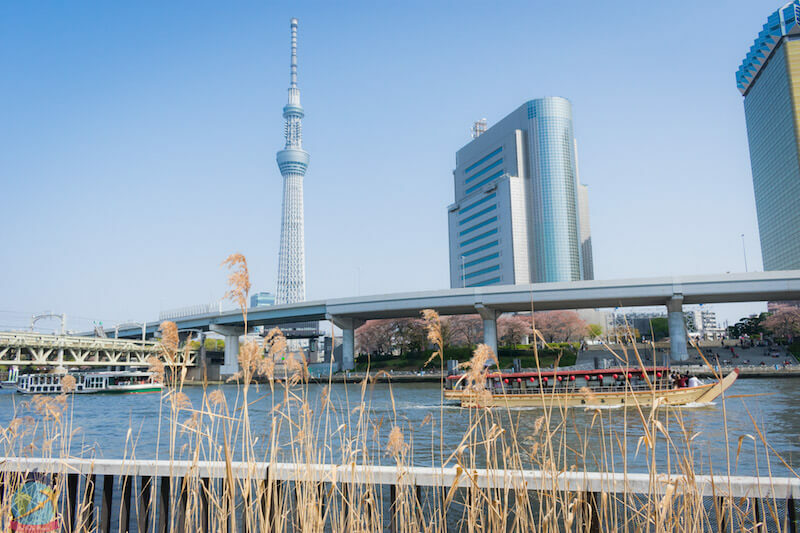 It is located in Sumida, very close to the Sumida River and Asakusa. It is the highest artificial structure in Japan and the second highest in the world after Burj Khalifa. Inside it, there is a viewpoint where you can see incredible views of the city, restaurants, shops, an aquarium and also a planetarium. 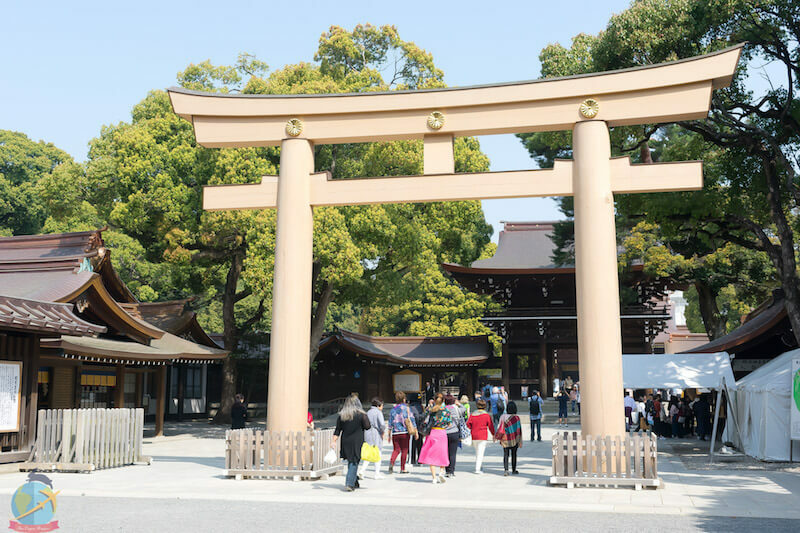 Ueno is located relatively close to Asakusa so it’s a good idea to put them together to visit the same day. Ueno Park is ideal if you want to spend quiet time (unless you go during hanami season where is so crowded!) 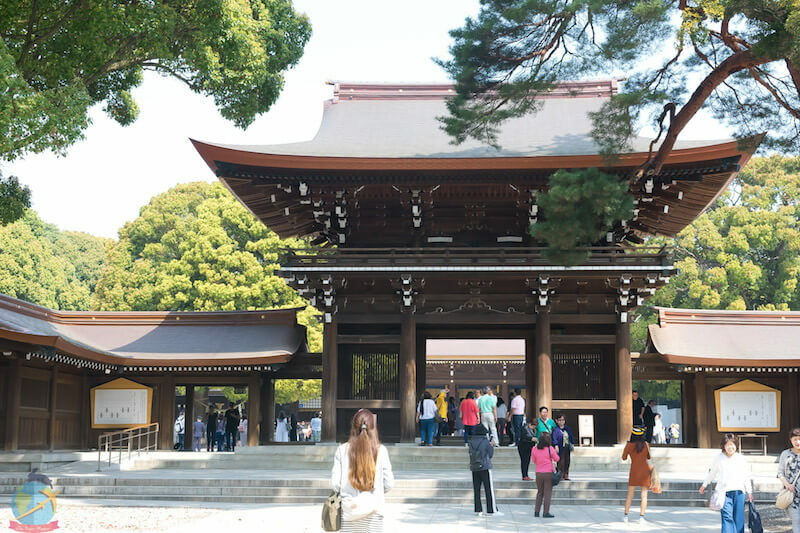 and you can also visit some of the nearby attractions such as museums or temples. During the spring the park is filled with people who enjoy their picnics under the cherry trees. Ueno Park is ideal for a relaxing afternoon after a long walk. One of the most iconic and recognized places in Tokyo due to the famous Shibuya crossing which wins the mention of being the busiest street crossing on the planet. For shopping lovers, it is the ideal place to go shopping at the different department stores, shopping centers or boutiques. At night everything is flooded with colorful lights that converge with the television screens that show all kinds of ads as hundreds of people walk rapidly from all directions. Tokyo in all its splendor. You can walk through their alleys and visit some cozy cafes while you enjoy observing the sea of people walking incessantly. It is one of the largest neighborhoods in Tokyo and where most of the commercial and administrative activity is concentrated. 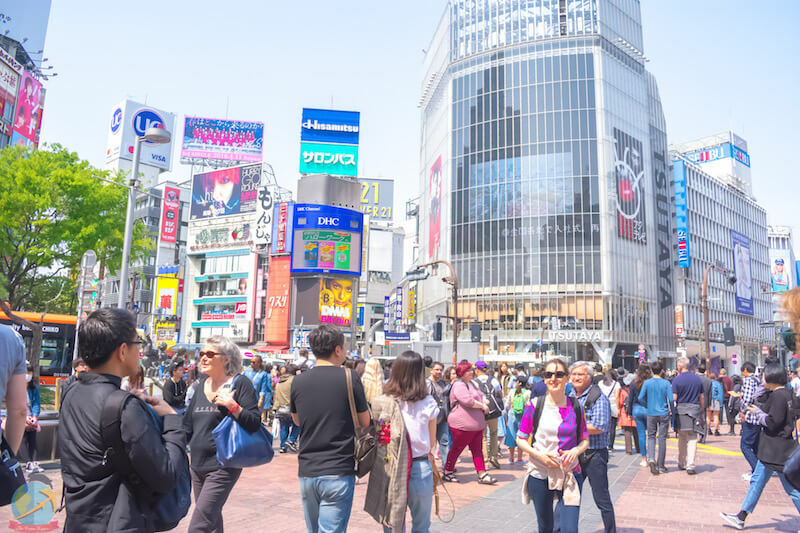 At night it is a popular entertainment center and you can explore several of the famous sectors for its bars, karaoke, and small street food establishments. Mecca of the young Japanese culture and fashion. Harajuku is a very busy area where you can find many attractions of the Japanese pop fashion culture. 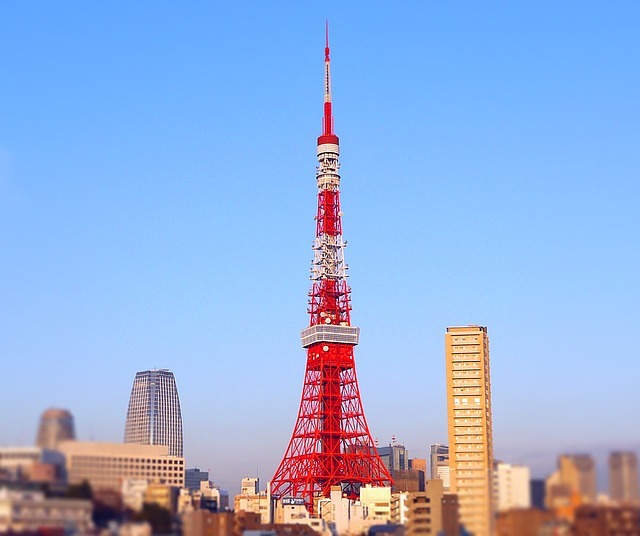 The Tokyo Tower is another emblematic point of the city, with its architecture that reminds us of the Eiffel tower. 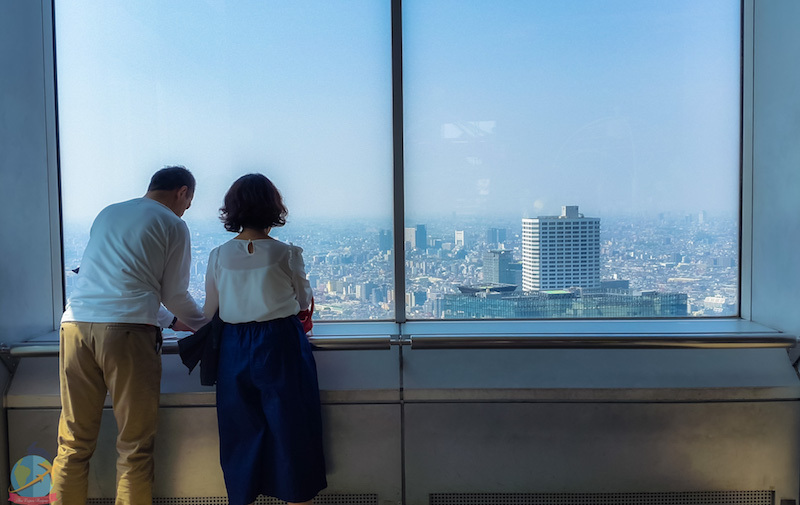 You can go up to the lookout to have a 360 degrees view Tokyo. Roppongi is a very popular place for nightlife due to its wide offer of bars, clubs, and restaurants. Additional its urban environment is a great attraction with the different options of shops, boutiques, and luxury hotels. Odaiba is an artificial island located in Tokyo Bay. 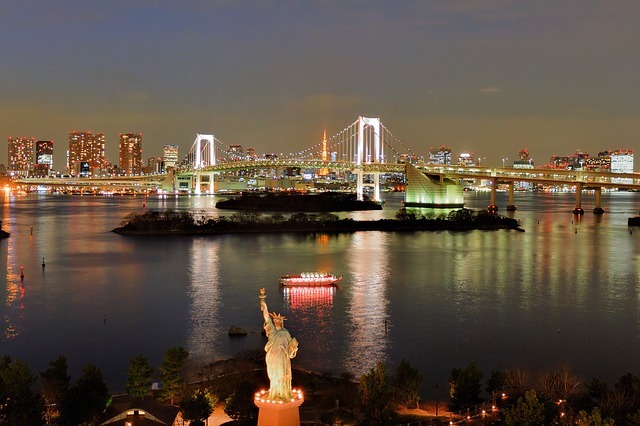 It has a futuristic vibe and excellent views of the city, Tokyo Tower and the Rainbow Bridge. 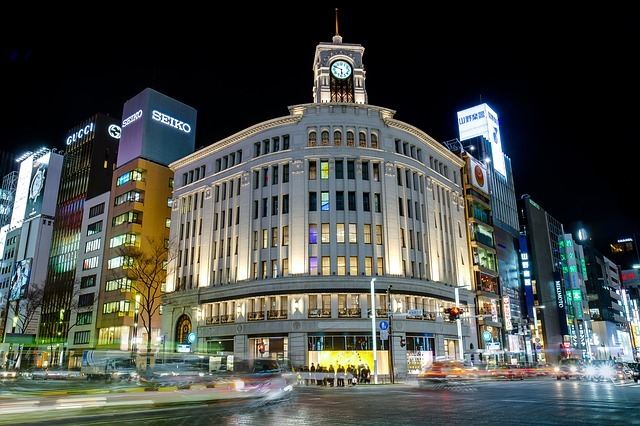 Ginza is a district of Tokyo that is characterized by its elegance with luxury shops. It has many options for cafes, restaurants, boutiques, and bars so it is a good option to visit in the evening and relax a little after a long day walking around Tokyo. 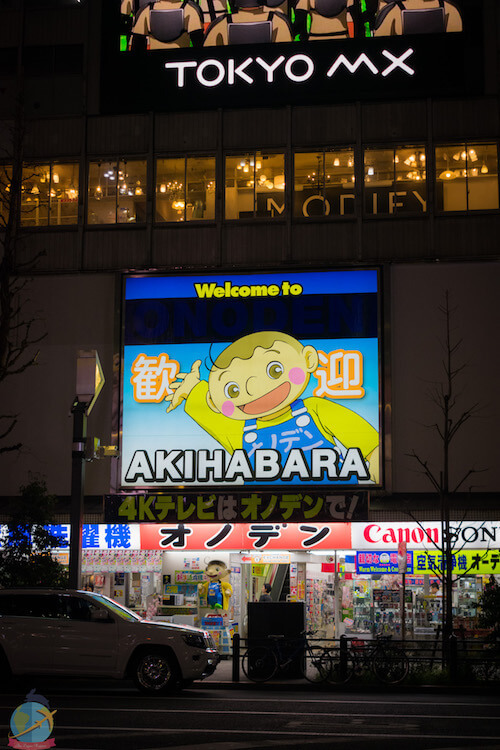 Akihabara is an electronic center with a large number of shops that offer all kinds of articles such as cameras, computers, TV, etc. On Sundays, the main road is closed for the exclusive use of pedestrians. Visit some Cosplay cafe or gallery, buy some manga or action figure. 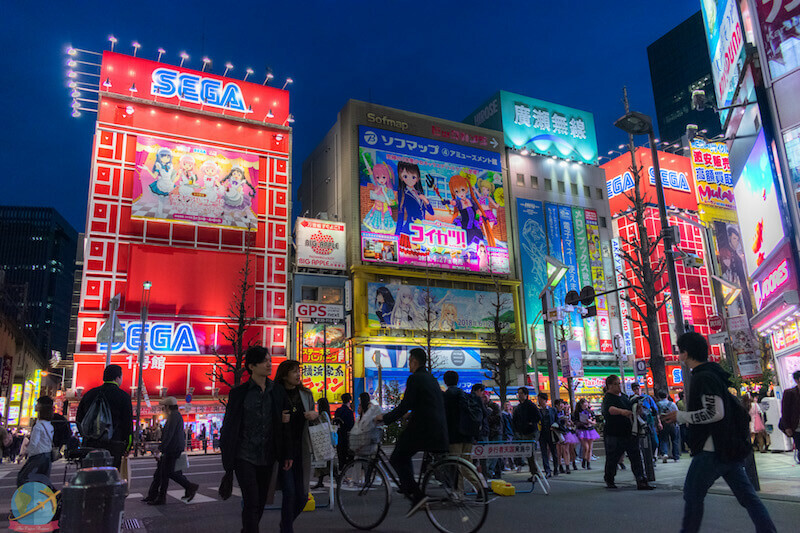 In Akihabara you can find many shops where they sell electronic products and manga. 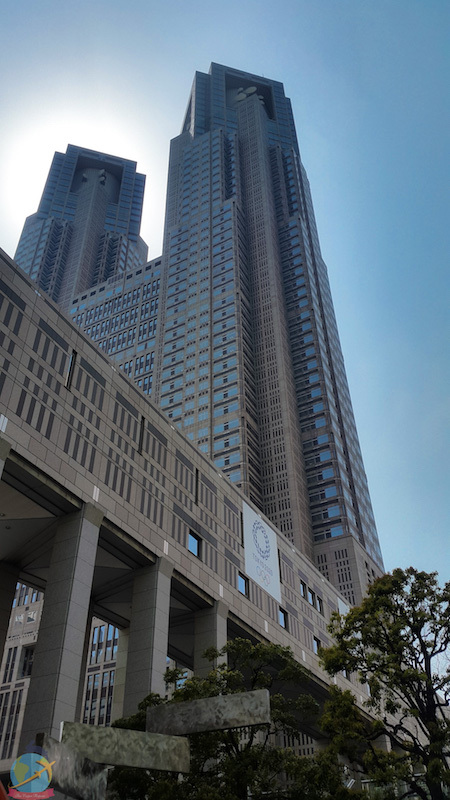 If you are in Tokyo Station you can visit the Imperial Palace which is very close. The palace has gardens, canals, and walled walls. It is free to visit, but the buildings are not open to the public, only the outdoors. I do not know how long you will stay in Tokyo, but if you have a chance you can make a half day or a full day trip to some other place nearby or perhaps a theme park. This information is to give you a general idea of the things you can see and do. 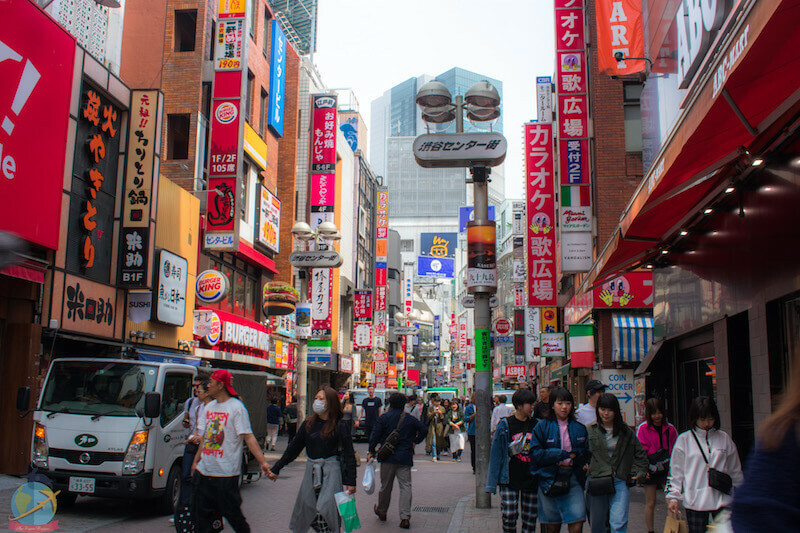 The city is very large and there are attractions for all tastes and honestly to include everything that Tokyo has to offer would have to write a whole book and need months to be able to go around. There are always new places to discover, it depends on your tastes, the amount of time you have and whether you want to take the trip at a slow pace or not. I recommend that you read and research as much as possible as you may find many more things you would like to do. 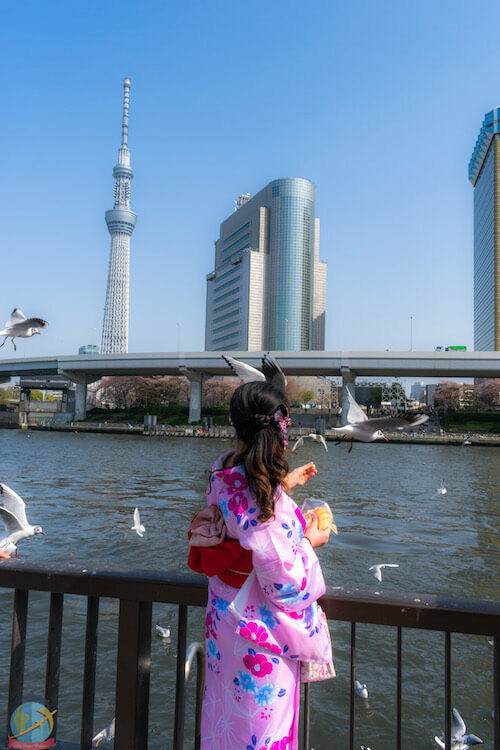 I hope at least I could have helped you by giving you a quick reference to some of the general attractions of Tokyo and you can plan your trip more easily, for any additional questions do not hesitate to write me. Stay tuned for my other post about all the vegan food I enjoyed while in Tokyo! 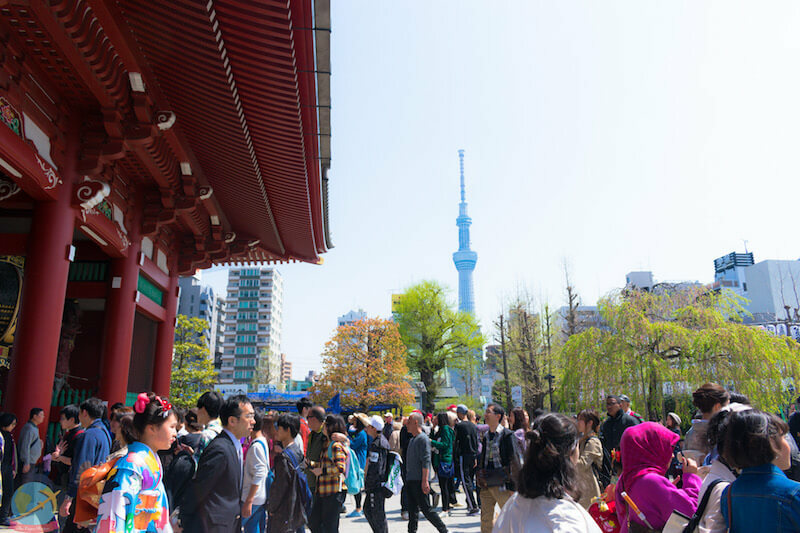 Have you visited Tokyo or have you planned to do so in the future?